Have you ever received or bought a brand new Apple product? Unwrapping the gift is an experience in itself. Much more so when the gift is free. In a big blue IKEA bag given to me by a friend, deep inside was this tiny cube. 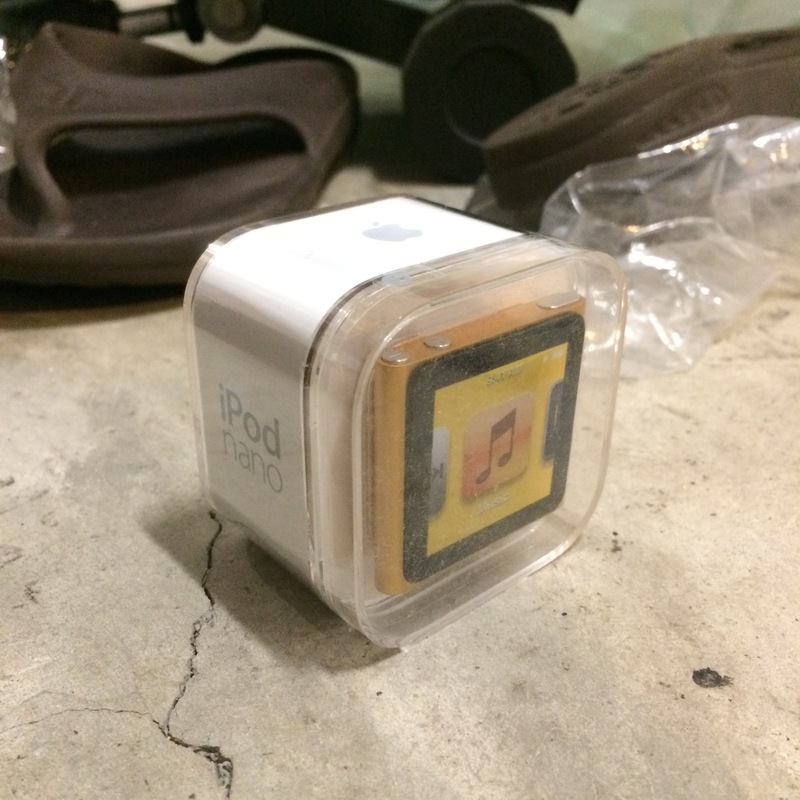 I fished it out as I was sorting out the contents today and was excited to find a brand new iPod Nano. I messaged my friend to thank her and she said it was better for someone to have it than to let it sit there. It must have been sitting there quite a while, because it uses the old connector (same as iPhone 4S), and the iOS interface is similar to that generation of phones as well. Also, the battery can’t hold its charge anymore. I guess there’s a lifetime for it, even though it’s never been used. But who cares? It works! It plays music! I just need to keep it plugged in, just as I keep my sound system plugged in.